Khanversations, a media company founded by multi-hyphenate content creator and journalist Samia Khan, aims to produce both scripted series and narrative nonfiction work, using humor and authenticity to address issues that generate a social conversation. In 2013, Samia launched her first scripted series, #Instacurity, with co-creator Justin Gordon. 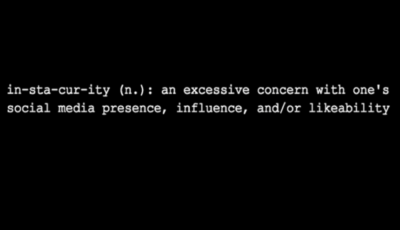 The series used satire to address what they deemed to be an “epidemic”: society’s excessive concern with one’s social media presence, influence and/or likeability. National and international news outlets, most notably TIME, Mashable, and Good Morning America, featured the project. Samia took a few years off to work in traditional journalism roles before returning to the creative world. In 2018, she wrote and developed a TV pilot for Khanflicted, a semi-autobiographical comedy series that explores the inner conflict that comes with having dual identities and the crippling anxiety that comes with making any sort of life decision. The series kicks off with the protagonist’s decision to move to Arizona (and work at FOX News.) A webseries prequel is currently in the works, and is slated for a Spring 2019 release. 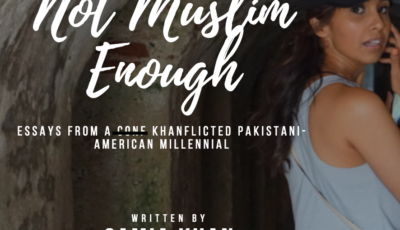 Aside from scripted content, Samia also enjoys narrative nonfiction, and is working on a collection of stories for her upcoming book, Not Muslim Enough: Essays from a Conf Khanflicted Pakistani-American Millennial.